Hunting for a good meal for a good deal? So it was down to Mike for this months meeting and he decided to pick somewhere he has been going to regularly for many years, and the Grub gang members have all visited at some point. 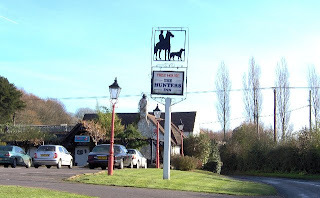 The Hunters Inn in swanmore is a cosy, decent sized pub offering a haven from the cold weather with soft furnishings and good, honest pub grub. 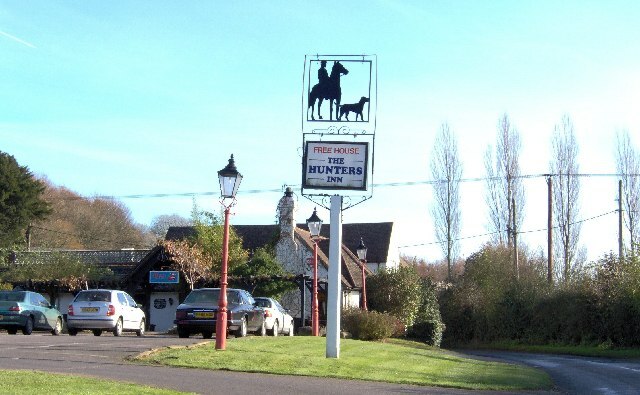 The menu offers all of the classic pub meals from lasagne to steak and ale pie, but for those with a discerning taste for the more adventurous dish, the specials board offers a wide range of different and interesting meals. The prices are so reasonable, we were able to easily stay within the Grubgang budget, having three courses and a drink for under £20!! This was mainly due to one of the many deals the Hunters offers, this being if you order a main from the blackboard, you can have a dessert from the blackboard for free Monday-Friday. Agree with the above went there twice 4yrs ago and oredered lasagne on one visit and cottage pie on another, both times was very runny, watery and bland. Decided to go back today and try it again 4 yrs later, tried something diferent this time and found the same again - think of pre packed, frozen microwaved food very bland. Plus points fast service, polite and well priced. Think maybe this only applies to the regular menu as the dinners others ordered off the specials board looked very appetising. Venue seemed quite popular as was very busy. Thanks for your comments, guys. Seems to me things may have slipped since we last went. Maybe we should revisit at some point and see what is going on! !